Wax Dey unveils a tuneful R&B melody off his impending album titled “360 Degrees”. 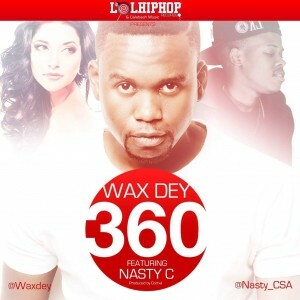 “360” featuring South Africa’s trending rapper and “Juice Back” crooner Nasty C. Produced by South-Africa-based Cameroonian producer Cornel . Unwind yourselves in the love boat with this !